One of the books I enjoyed reading to my beloved offspring when they were young was called Are You My Mother? This baby bird somehow gets separated from her mom, so everything she encounters is a possible mother, so she asks just in case. Every page featured a new possibility -- I think one of them was a bulldozer, for God's sake! Since that book is still around today, there must be some truth in it, some wisdom that sneaks in with the delight it offers children. Most kids, I guess, spend some time in daycare or with teachers, babysitters, or someone like that while their parents go off to work with a broken heart. I had a few substitute moms before my first-grade teacher took over that role, and I learned a lot from them even though they weren't actual teachers. I was dumber than dirt, barely a post-toddler goober, and they were old and wore dresses, so whatever they told me, I accepted as truth. And however they acted was the right way to act. 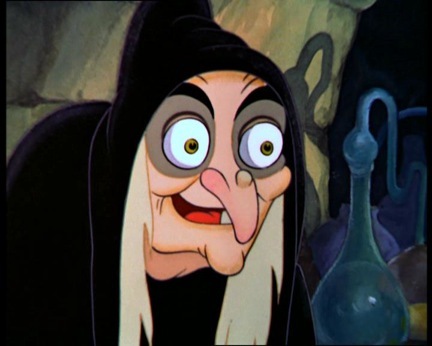 I'd heard many fairy tales and seen Disney's Snow White, so I knew mothers could be pretty easily divided into Fairy Godmothers and Wicked Witches. For a while, though, I was privileged to keep the company of my actual mom, but it wasn't so easy for either of us. She tells me my dad was trying to farm in those days, so, through no choice of her own, she took me out in the fields where she and my dad worked in tobacco and whatever else they were growing. She tells me now that it was way too hot for me to be out there, and the mosquitoes were all over me and it made her very sad to see me like that. But what else could she do? As every farmer knows, the fields have to be worked. You turn your back on crops for a second, and they'll die on you every time. If you can't afford to pay somebody to look after your children, you bring'em with you. It ain't gonna kill'em. Didn't kill me. Some years passed, the crops rebelled against my dad and died in their various ways, and forced him and my mom to get jobs in town. She worked in shifts at what was called the Metal Plant. Sometimes she went to work at around 4 p.m. and came back around midnight. Other times, she'd go to work in the morning and work to 4. At the Metal Plant she worked on an assembly line sitting in front of a very loud and very dangerous machine, and she wore gloves that attached to another machine whose job it was to pull her hands back so they wouldn't get chopped off. While she was at the Metal Plant, someone had to watch me and my sister Martha. Often that turned out to be my dad's mother. Some people claim she was a twisted, crazy, wicked old witch, but I was with her many a day and so I know better: People were just being nice when they called her that. Whatever her shortcomings, she did give me some religious education. She taught me about hell, for example, mainly by way of her own shrunken heart. About the time Martha got old enough to go to school, my mom's mother took over the childcare chores. What a nice change that was! A Southern Baptist Sunday-School teacher, she was basically a Fairy Godmother with a bit of sternness worked in just to keep it real. She sort of worked me into any chore she was doing, whether it was picking blackberries, cooking dinner, or sitting around a gigantic quilt suspended from her ceiling in what was called a quilting bee, listening to a whole bunch of her women friends gossip away. There was no TV and, of course, no video games, not even a phone, and the only tablets in the house were aspirins, so I was "always under foot," as they say, probably bugging the crap out of Grandmother with my endless questions, many of them focusing on her sewing machine with its impressive wrought iron pedal and some mysterious process called "changing the bobbin." She made me promise never to touch the sewing machine when she wasn't around, so I only completely screwed up the thing a few times by touching it. But the female who taught me most of all during my preschool years was my sister Martha. 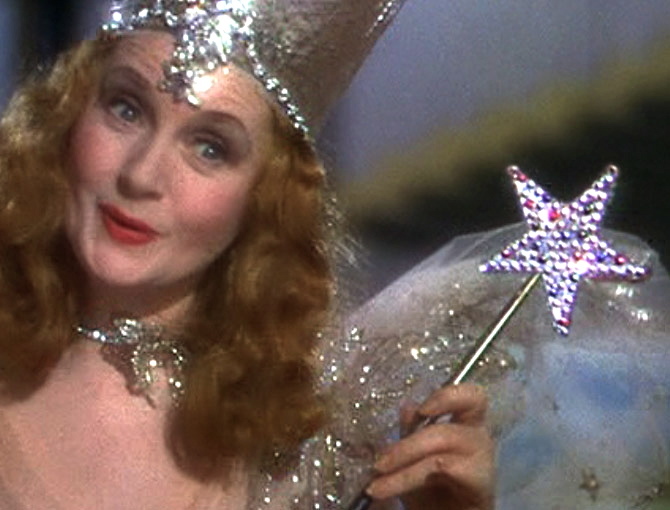 She was, of course, no sort of godmother or witch, but rather a fairy or a wizard. Consequently, many of her lectures came from her endless imagination. She must have been about five when she realized there were countless wonderful things to know that had little to do with what our five senses could tell us. She was part Dr. Seuss, part Calvin of "Calvin and Hobbes," part eternal storyteller who didn't bother with separating facts from fiction. Whatever her imagination seized as beauty was true. For example, she topped me on a walk through the pastures one day to point out the rays of light issuing from behind a silver-lined cloud. She put her hand on my arm and stopped me in my tracks. "Look up there at that cloud," she said. "That's where God lives." Once we were fighting off boredom in the car while Mama Joyce was grocery shopping, and I saw our doctor walking down the sidewalk. For some reason, I began to wonder what happened to doctors when they got sick. Who the heck did they go to? So I asked Martha about this, and she responded immediately. "You ever see pictures of those guys wearing Smoky the Bear hats and red coats and they ride around on horses? They're from Canada and they're called 'mounties.' Well, their job is to doctor doctors. That's who doctors go to when they're sick!" That made such good sense! Why did I never think of that? What else would guys dressed like that do? Martha was most helpful to me, though, by being a human "flash-forward-two-years" machine. 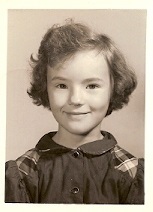 When I was 3, in other words, her actions and teachings taught me moment by moment what it was like to be 5. I didn't have to guess about what to look forward to or to dread in the days ahead -- she showed me. I learned, for example, to dread vaccinations and to look forward to the school Christmas play. So I was always seeing what life would be like around the next bend while she taught me everything I needed to know, from tying shoes to buttoning shirts to making up the bed to washing dishes to catching fireflies. And when she made my days much emptier by going off to school, she brought all the exciting things she learned back home to me. She showed me what letters looked like and how they sounded. She showed how 1 + 1 equaled 2. But most exciting of all was the afternoon she raced off the bus and up the stairs to our old house, pulled out some paper and showed my how just three letters, when put in the right order, made the sound of my own name: r - o - y. Martha glowed like that cloud she'd shown me in the pasture, while I was rapt, stunned by this magic. This was more than I deserved! Those letters at school -- she brought them home to me and made my name. The Universe was a generous place indeed. And how Martha and I basked in its generosity.